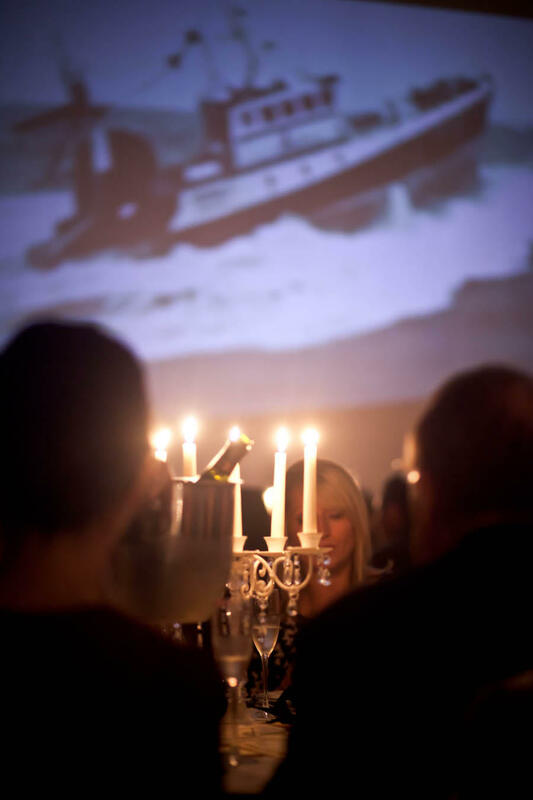 In what used to be a commercial space with a corrugated steel ceiling, the team have created a warm and inviting venue with full (and I mean FULL) bar, a 40’s style seated space and downstairs dining area. On the whole it’s an unusual and welcoming space, fully spec’d up to providing as much food and drink entertainment as you could handle. I’d have liked a little more interest in the way of lighting and interior design but I’m just an annoying perfectionist. So, the food. 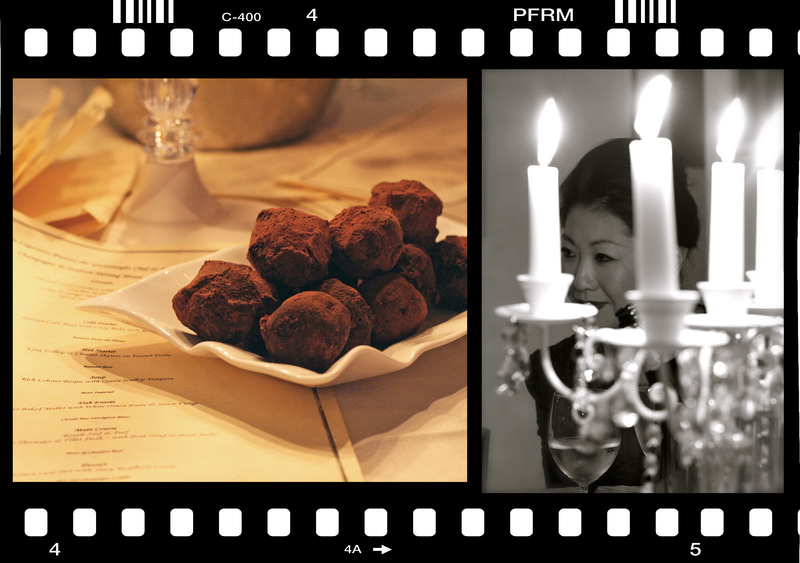 Whilst sipping a crisp Cloudy Bay Pelorus, the first of eight included drinks, canapes were served: smoked oyster crackers with caper cheese, cod roe & caviar blinis, lime & ginger salmon lollipops and spiced tuna tartare. 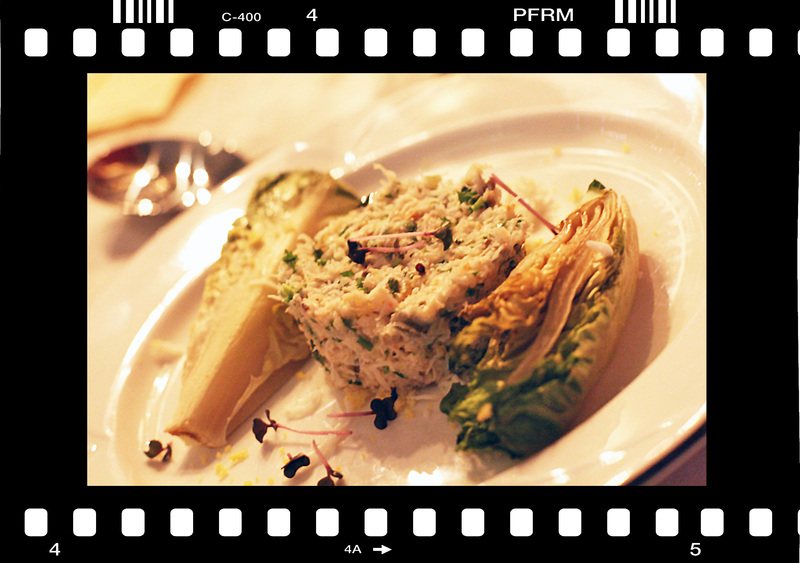 My fav was the smoked oyster, a rich long lasting flavour explosion, textured a little like a smooth pate, fabulous. No pics sorry, they disappeared too quickly! 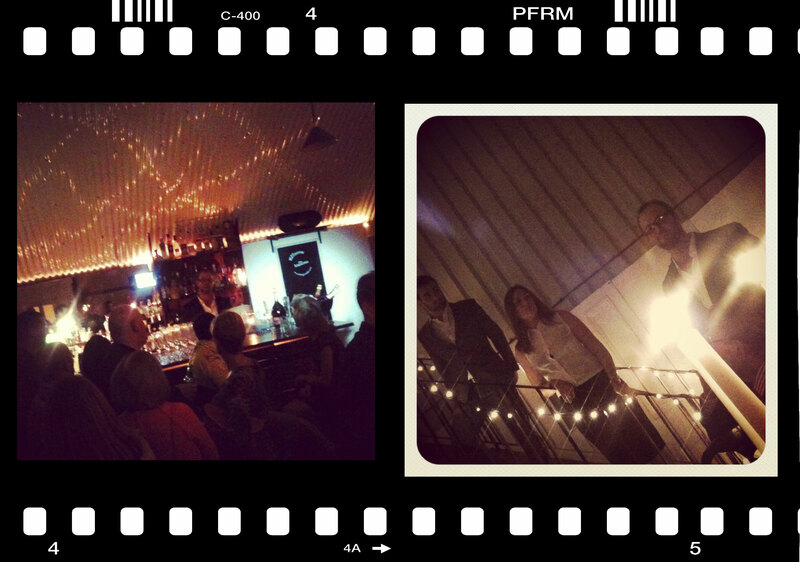 We were gently ushered downstairs for our seven course extravaganza and host Tom was eloquent, funny and knowledgeable, talking us through the drinks, food, evening and generally guiding proceedings along. First up, dressed crab meat with crisp baby gem & egg dust below. Fresh and tasty but needed something, more seasoning I felt or even just a splash of lemon and the little gem was a little less crisp than it should have been. Absolutely restaurant quality, yes, though could have been improved ever so slightly. 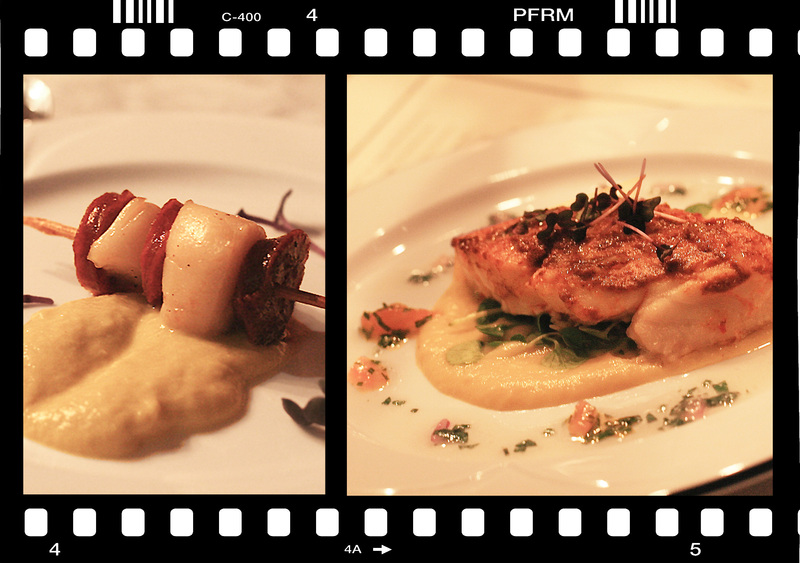 Next up was a king scallop & chorizo skewer on fennel purée – on the left of the image below. Bloody delicious. Perfectly cooked scallops with a delicate but full of flavour fennel purée. I’d have maybe sliced the chorizo slightly thinner as it was a buggar to cut gracefully but in terms of taste, a cracker of a dish served with a Ruinart Rosé. A rich lobster bisque with a centred trio of queen scallops followed next, equally lip smacking and accompanied by a Moet Imperial. On the right of the image below was course number four, harissa baked mullet with white onion puree & sauce vierge. How spoiled were we?! Jealous much? 🙂 My only criticism of this dish isn’t to do with the flavours, the white onion purée was lovely, the sauce vierge cut in with the required acidity and the mildly spiced harissa topped fish was well cooked, I just felt something more textured was needed. Maybe a crunchy quinoa or crispy breadcrumb topping flavoured with Moroccan spices? I wanted something to crunch after the smooth fennel puree, scallops and bisque. The wine was a Cloudy bay Sauvignon Blanc, full of grapefuit & elderflower, not my usual choice of wine but worked well with the dish. 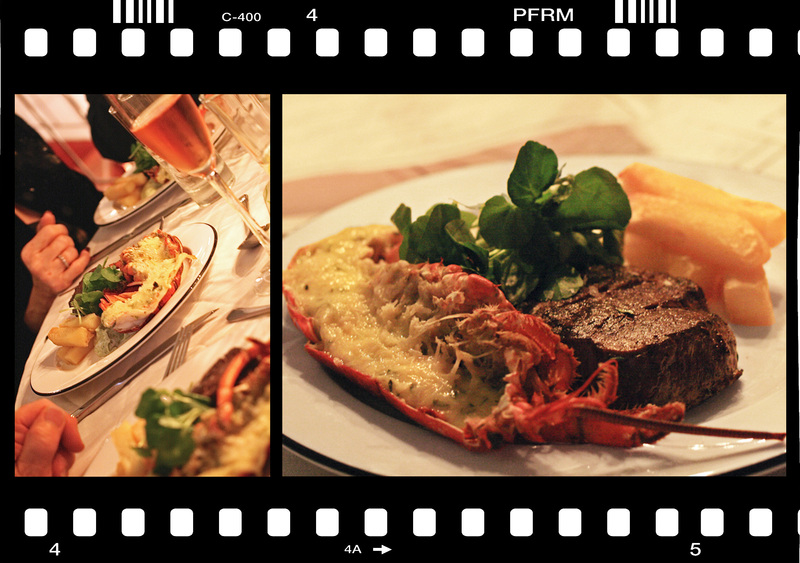 The came the dish all the boys were waiting for… surf ‘n’ turf gastronomy style, a 1/2 lobster thermidor with fillet steak, thick cut chips and a Pont-Neuf & basil aioli. Getting 50 meals out of the kitchen at such a high standard, five courses in, not easy and the temperature was a little on the low side, however, the cooking was perfection. Rare fillet which cut like butter, succulent lobster and accompanied by a Moet Rosé. My request for a warmer steak was accommodated without question, without a doubt this team are there to please and we found the customer service & genuine interaction excellent. 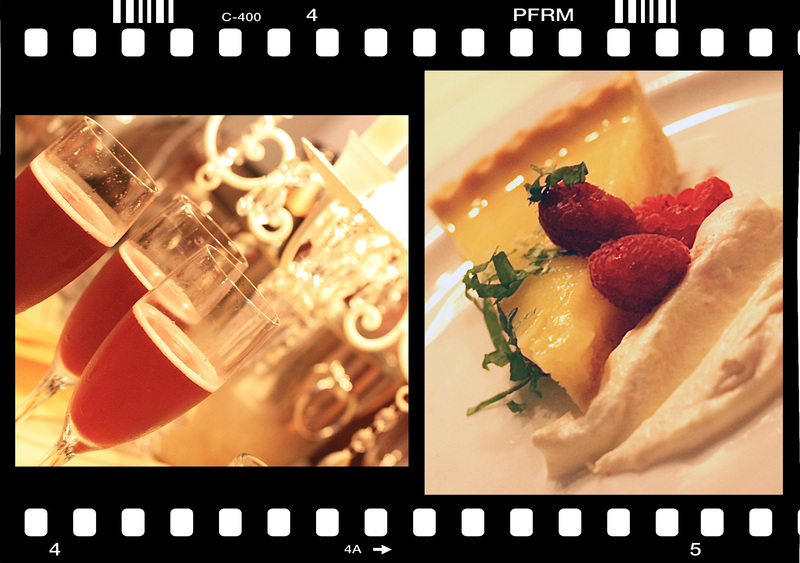 I seriously don’t know how I found the room for my lemon curd tart with port & fizz cobbler…. Hi, Im Pete Sheppard, the photographer at #22Redbank. First of all, I’d like to say what wonderful photos you took! I can say they are better than the images I took on the night! 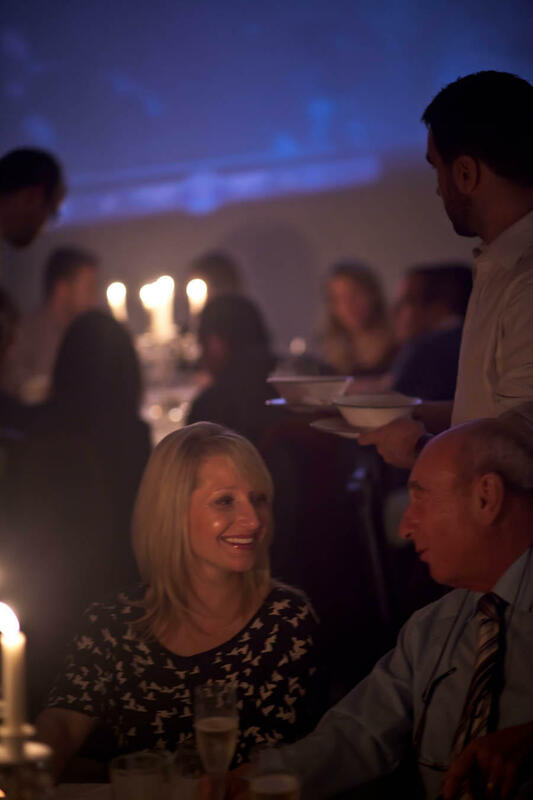 Second, thank you very much for coming to our event, I am very glad that you had a great time, we put a lot of effort into putting on the gastro events for MFDF2012 and to hear such good feedback has made it all worthwhile for us! You will be glad to know that the lighting in the space (esp the studio!) 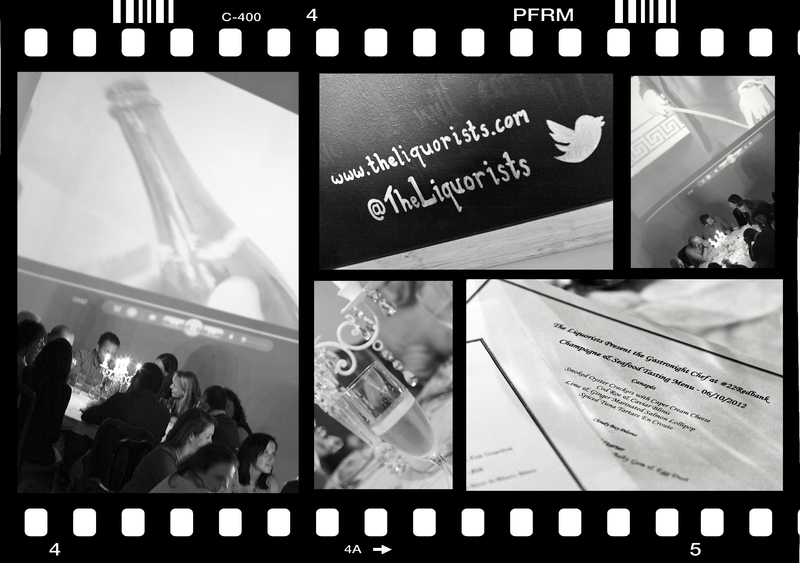 is right at the top of my to do list, so next time you visit us, I hope you will be pleased….. Your Home, Made Perfect – 8pm April 16th – Sneaky Peeks!! Opinion: Will Brexit Bugger Up My Home Renovation? Landlords Banning Pets? It’s The Owners Who Are The Problem!